Mint Chocolate Chip Nail Polish! Paint nails fully with a mint color shade of green. I love the brand Julep, so I used their mint color called 'Shanae' though any mint color will work fine. This second step will need this Julep color called 'Max' because it's a pretty original confetti style top polish. It's a combo of white and black flakes that work great on a base coat. Paint your nails 2/3 of the nail on top with this bad boy while focusing more densely towards the cuticle. 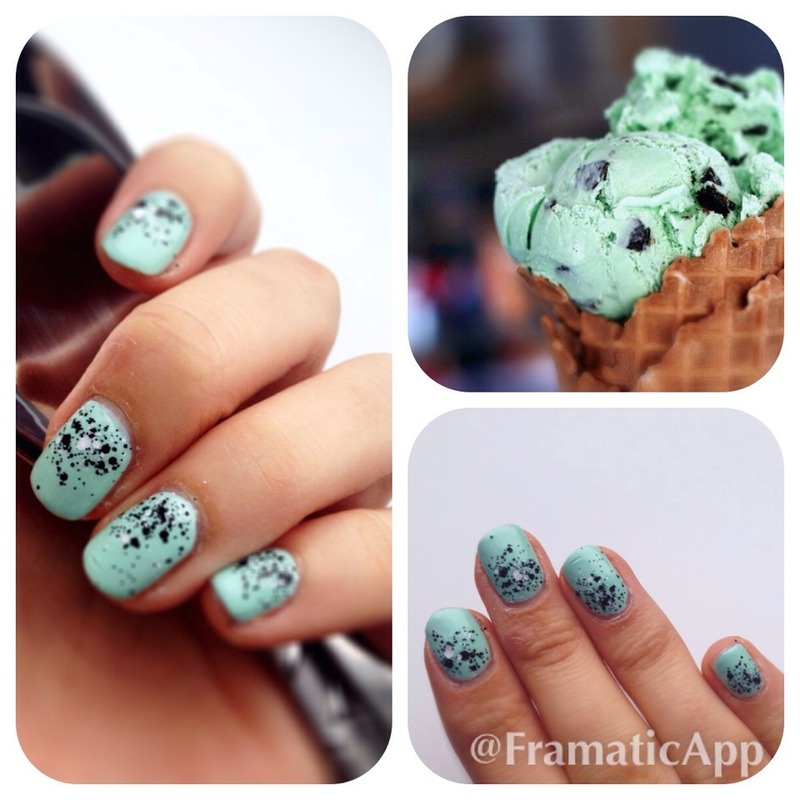 Enjoy your yummy new mint chocolate chip nails! I came up with this combo on my own so chances are you'll be one of the original ladies to wear it! Please like👍 when saving to show your appreciation.. Thanks guys!